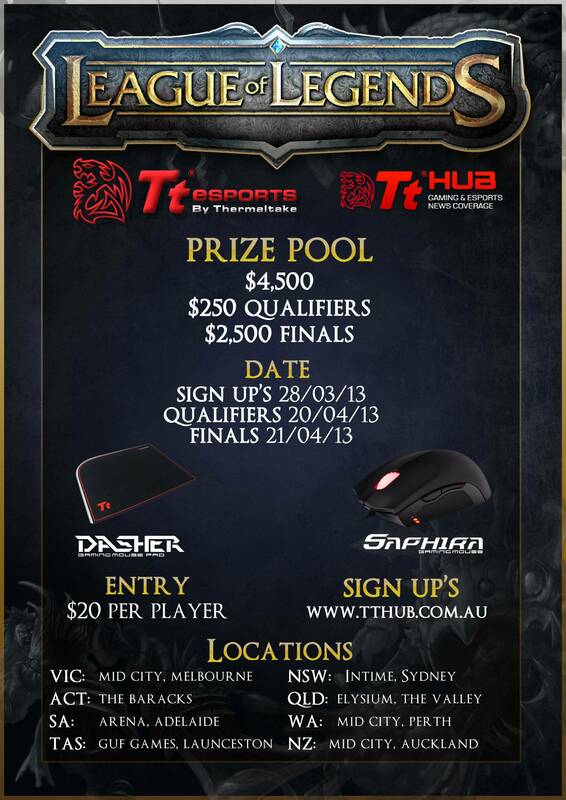 Due to our Heroes of Newerth competition being such a hit in 2011, spanning multiple cafe's all across Australia. We are looking to re-kindle this in 2013 with League of Legends! - If the store is over the limit, who will play? We will selectively choose teams appropriately to their competitive rating. If a team is known to be highly ranked and competitive, they will get first dibs on a spot. - Is spectating free? Yes, both days. In the mean time, show your support on Facebook! Looks good! I hope I can pop down to the Sydney Cafe's to check everything out. BoL, and hope it all runs smooth. Chris, Is there a Facebook event for this? Looks awesome. Such a widespread set of locations. If I'm in Brisbane at some point I will be sure to check it out. #1 team from each store returning does this mean the finals will be store vs store online? Or will all #1 teams go to one store? i doubt they'll get everyone to travel to one spot, would be too costly for players, most likely online after first phase of the competition is played. definitely excited and keen about this. that prize money looks too juicy to be ignored, sign up guys! This is quite bad for Perth players because its on the same day as Red Flag lan and most teams have already bought their tickets(i'll say every team because tickets are sold out) and tickets cost $40 per person. So the turn out from Perth for this competition will be very poor.